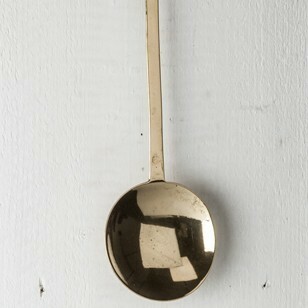 'Live to Live' Georgian Silver Soup Ladle. 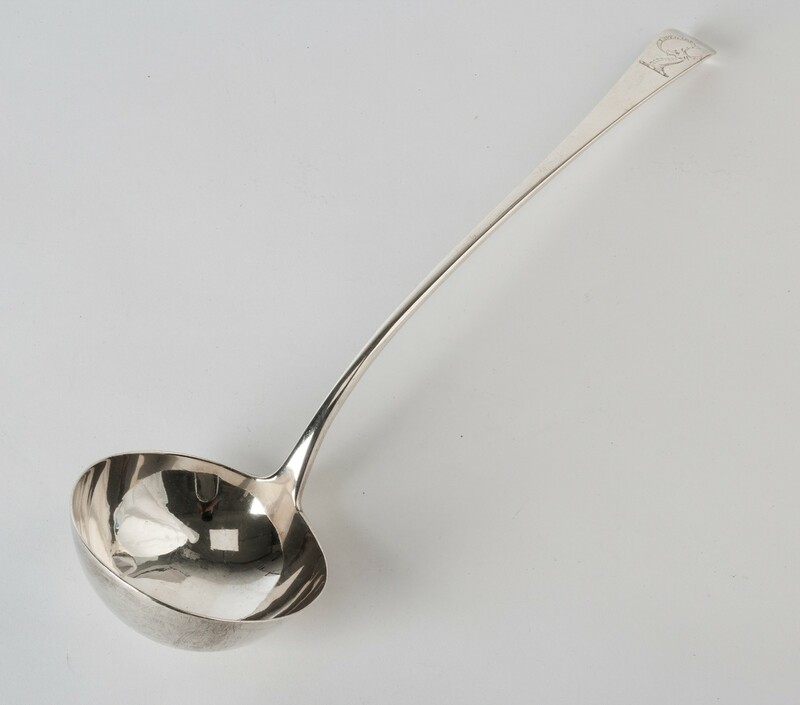 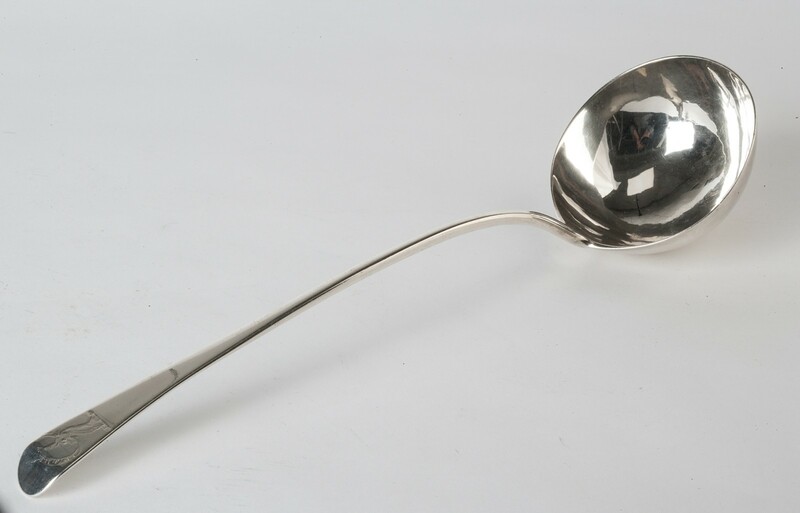 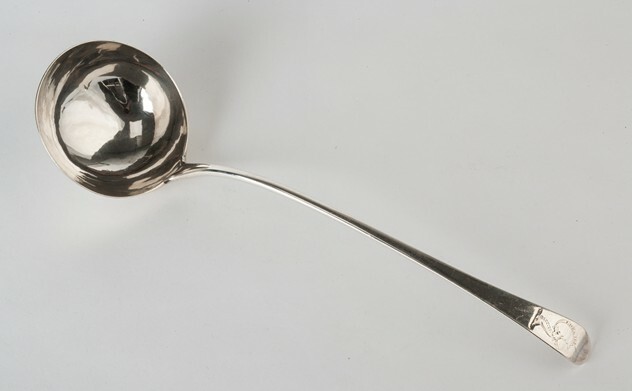 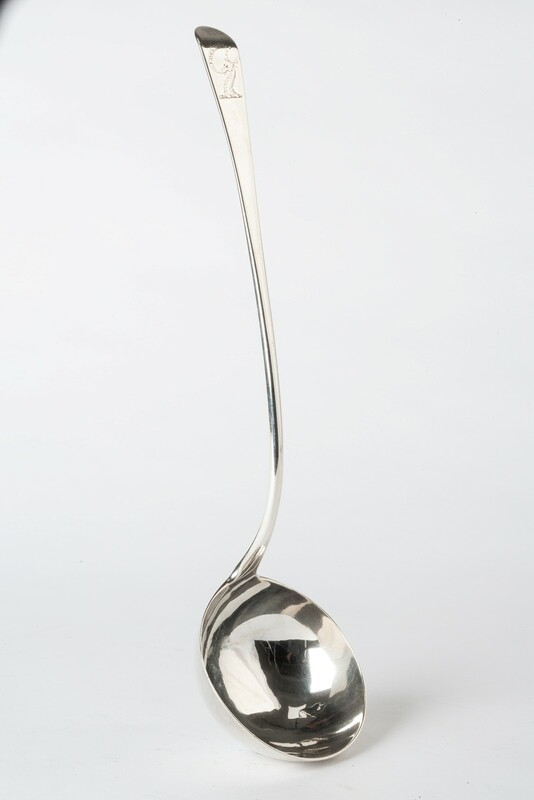 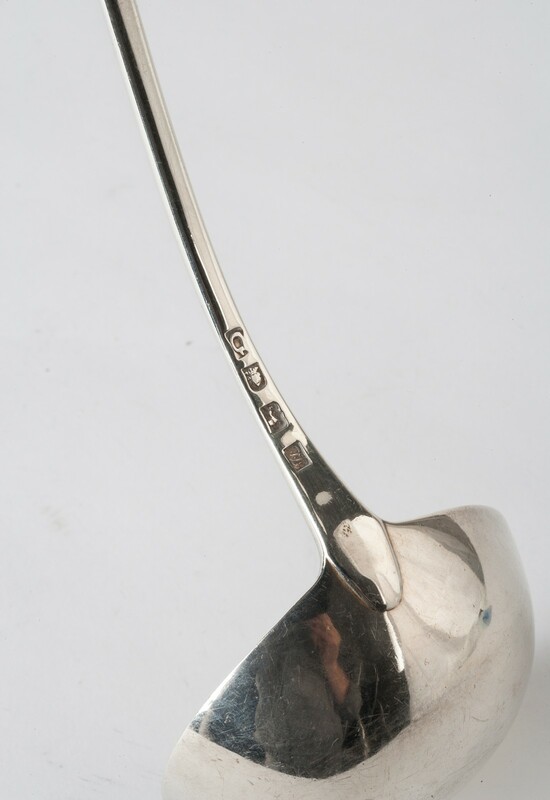 A typical silver soup ladle hallmarked London 1759/60 and by the silversmith John Lamfert. 13.5 inches long, the bowl 3 5/8 in diameter. 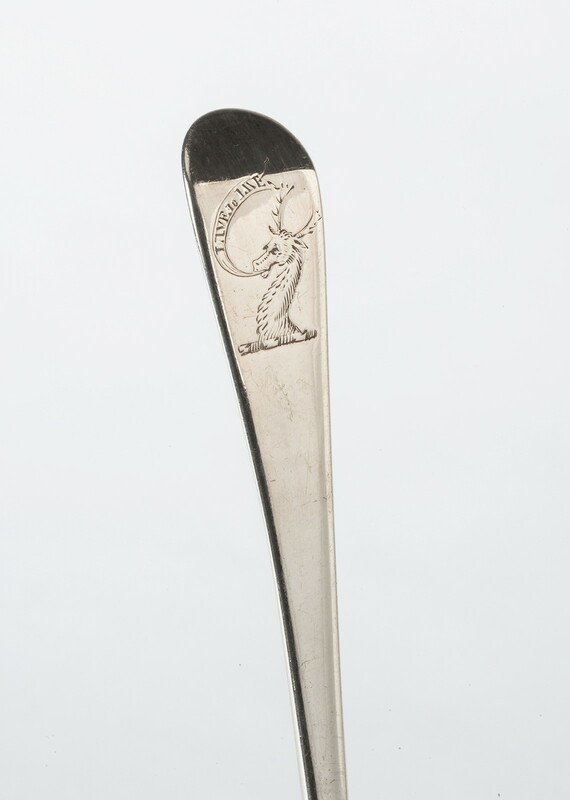 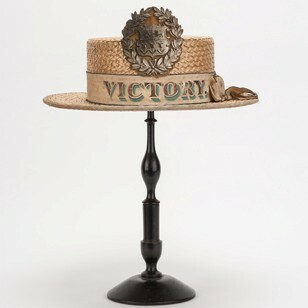 Engraved to the handle with a crest of a stag's head and the motto 'Live to Live'.